The Center for International and Global Studies is committed to creating a vibrant teaching and research environment for faculty and both undergraduate and graduate students. The Center for International and Global Studies promotes international and global studies via academic instruction and research. 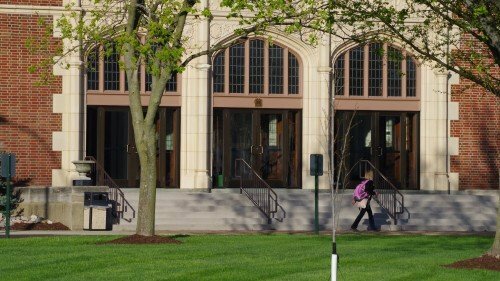 The Center will also produce a peer reviewed research publication called the Journal of International and Global Studies; publish high-quality book monographs; sponsor visiting professors; coordinate a lecture series; and help provide faculty and students with both research and study opportunities abroad. The Center assists in supporting faculty and student exchange in many different countries and societies throughout the world. Questions concerning The Center for International and Global Studies, its programs, or journal submissions may be directed to rscupin@lindenwood.edu. The Center for International and Global Studies is seeking partnerships with institutions and/or research centers to promote and expand the field of international scholarship. Our objective is to develop university wide avenues for research collaboration, professor and student exchanges and other academic related associations. If you are interested in exploring these opportunities, please contact Raymond Scupin, PhD, at rscupin@lindenwood.edu. The Journal of International and Global Studies provides a peer reviewed multidisciplinary forum for the critical discussion of and reflections on the consequences of globalization throughout the world.